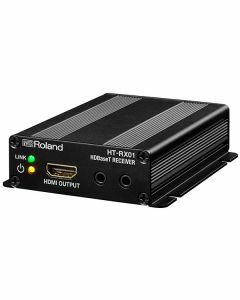 HDBaseT-compatible receiver capable of transmitting HDMI signals up to 100 meters over an Ethernet cable. Weight: 300 g / 0 lbs. 11 oz.